The best Gears of War team of all time has once again proven why they’re on top of the world. 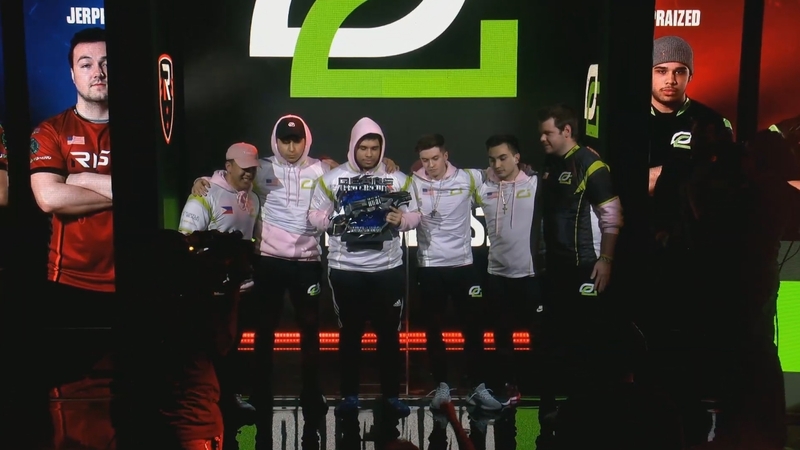 OpTic Gaming—Gilbert “Xplosive” Rojo, Billy “MentaL” Putnam, Alex “SuMuNs” Ascencion, Brian “SoLuRs” Valenzuela, and Arody “Praized” Dipre—defeated Rise Nation in the grand finals of the $200,000 Gears Pro Circuit Columbus Charity Invitational on Sunday to win yet another tournament. This win gives the Green Wall its 13th Gears title since 2016. Unlike most other tournaments, this wasn’t an open event. The top 12 teams in the world were invited to Columbus, Ohio, with the $200,000 prize pool being evenly split between the players and charity. Since losing at the GPC Las Vegas Open in April, OpTic have been on a tear. They beat Echo Fox in the GPC New Orleans Open grand finals, and then followed it up with a championship victory over Ghost Gaming at the San Diego Open in September. While OpTic may not have another chance to win a title in 2018, the Green Wall is certainly the favorite to take home the first open championship when the new year arrives.